Jeralyn E. Merritt is criminal defense attorney in Denver representing persons accused of serious federal and state offenses. She served as one of the principal trial lawyers for Timothy McVeigh in the Oklahoma City Bombing Case. 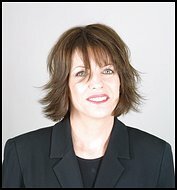 She has served as Secretary, Treasurer and member of the Board of Directors of the National Association of Criminal Defense Lawyers as well as on the ABA Criminal Justice Section Council and the Board of Governors of the American Board of Criminal Lawyers. She is co-author of a treatise on the U.S.A. Patriot Act, published by Lexis-Nexis. She has testified before both Congress and the United States Sentencing Commission on drug sentencing laws. From 2001 through 2003, she was a Lecturer in Law at the Denver University College of Law teaching "Wrongful Convictions" and "Criminal Defense." She is the creator of CrimeLynx, an internet resource for legal professionals and TalkLeft: The Politics of Crime. All entries on TalkLeft are written by her, except those that specify at the top that they are written by Big Tent Democrat. She has also written for Newsweek, Huffington Post Salon, and "5280", Denver's award-winning magazine. She lectures nationally on a variety of legal and political topics and was been a cable television legal analyst from 1996 to 2008, most frequently appearing on MSNBC , Fox News and CNN. A more detailed list of appearances is available here. Speaker fees are available upon request. If you would like Ms. Merritt to speak to your organization, or write a commentary piece for your publication, please contact her directly.